Jim strategically manages and leads the organisation, ensuring the effective and efficient development and working of the partnership, its staff and operational programmes. Judy is responsible for developing and managing the Partnership’s practical programmes and for liaising on practical issues with relevant staff in funding and partner organisations. Jo is responsible for delivering outreach activities to young people aged 11-18 years old through the Our Bright Future programme. Lizzy is responsible for the strategic management of the Belfast Hills Projects including the Landscape Partnership Scheme (LPS) and Our Bright Future (OBF) programme; ensuring the effective development and day to day delivery of the scheme, its staff and programmes. Patricia is responsible for the Youth Development Programme, working with 16-24year olds, delivering outreach and empowerment activities relating to the local environment. Ben provides administrative and financial management support for core and project work to the Managers, Board of Directors, Sub Committees and other staff. Sara provides admin support to the Partnership Manager, the Board of Directors and other staff. 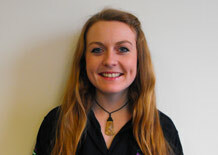 Lisa runs the volunteering, training and outreach programme throughout the Belfast Hills. This includes promotion, recruitment of volunteers, liaising with site managers, working with community groups and primary schools along with writing reports and keeping financial records. Noel is working on the Wildlife Connections Project funded by Esmée Fairbain aimed at involving local people in improving the management of key fringe community sites for wildlife, for community use and for a better local environment.